You Scream, We Scream! – We All Want Pumpkin Ice-Cream! – A Blog, A Magazine. It's JustsumInspiration! A Blog, A Magazine. It's JustsumInspiration! EnSpired: Science Says “Curvy Women Make Men Happier in Marriage. FOR REAL!?! EnSpired: Pet Hair, Don’t Care. Meet the Grooming Dogs Who Were Born To Be WILD! Sunday’s Thought: Sometimes, You Only Get One SHOT! Sunday’s Thought: Why does the Right thing, Feel like the Wrong Thing?! #Sunday’s Thought: What’s Up with 1022? Video: Wednesday’s Word! – Bigger Place for Office Space? Gurrlll Bye!! Video: Wednesday’s Word! – Invest in YOU BOO! Comedy: Move Over! This Bladder Has To GOOOOO!! The Grieving Stage – What Not To Say! A Cure For Wellness – Simple Tips to Stay Warm and Well! Who Are These People, And Where Do they Belong in My Life!? Parents, Let’s Not Be Weary – Shall We? You Scream, We Scream! – We All Want Pumpkin Ice-Cream! If you’re like me and I believe maybe 80% of you are, I absolutely love sweets especially CHOCOLATE! I mean, don’t get me wrong I’ve gotten a lot better but I always have to have something sweet after dinner, a cookie – brownie – honey bun or even a piece of candy was all I needed to top of the evening meal, dinner is not dinner unless there’s dessert right after or if you’re like some people, dessert comes first! As stated, I’ve gotten a lot better with my “sweet” choices as now I try to opt for more “healthier” options and that’s been going well, but I do have cheat days and that’s when I let my hair down to have a piece of cake or some chocolate, and while cheat days are on Sundays, I’ve found myself craving for sweets during the week, me and my body have been having some serious talks, as it wants to move back to “old habits” lane. A place in which I totally let myself go and eat whatever my heart desires, but that place comes at a hefty price, especially when my health is involved. So, when that taste of wanting something not so good for me rears its ugly head, I have found other alternatives that help keep those cravings at bay and one of those things is pumpkin ice cream. Because I’m a big fan of sweetsville, ice cream is another one of my all-time favorite treats but just because I can’t have the real thing when I want, doesn’t mean I can’t “healtherize” (if there’s such a word) an old favorite. Let me tell you, I honestly didn’t know how this was going to turn out, I mean as I’ve told you before – I’m no Rachel Ray nor Martha Stewart for that matter so I’m not that great at making things from scratch, which is why I settle for recipes that only require 4-5 ingredients as this girl can get pretty messy, literally….if the recipe calls for more than that. Hey, I know my limits…. But needless to say, this ice cream turned out better than I expected and yes, they do have pumpkin ice cream in the stores but do you really know what’s in them? I mean most of them contain a lot of ingredients that I myself can’t even pronounce however; this recipe was very simple and only required very few ingredients all of which you can easily recognize, spell and pronounce and I don’t know about you, but I like to know what’s in my food. So, if you have a craving for ice-cream and want something that’s going to be not only healthy but lactose free and taste good? Then this recipe is for you. 6 Ingredients & You’re headed to Yummyville! 1/2 teaspoon cinnamon – or more if you’d like. Optional Note: I added, 1 tsp of coconut sugar – I love my ice-cream to be sweet. Fill an ice cube tray evenly with the pumpkin puree and cover tightly with plastic wrap. Place banana in a Ziploc bag and place the banana and the ice cube tray in the freezer overnight. Remove the cubes and banana from the freezer and let sit for 5 minutes. Remove from ice tray and plastic bag and place everything in high power blender or food processor and blend until smooth. Enjoy right away or place in freezer for a couple of hours to create a harder ice cream. Everything all blended together Nicely. So Creamy! After sitting in the freezer for over 8 hours – Here it Is! Now you can eat it as is but if you like to live on the wild side, then you can push the envelope a little, just as I did. Let me introduce you to – Pumpkin Banana Split!!! Another picture, just in case you were drooling over the first one…lol. Okay, so I have to say – I didn’t necessarily follow the directions above as I just blended everything together and put it in a bowl to let it refrigerate – had a picture of it but it didn’t turn out very well. However; I will say – I fixed this the night before and left it in the freezer for over 8 hours. It was extremely hard when I got it out, too hard to put a scoop through so I had to let it sit in some hot water (the bowl that is) until it thawed a little. But afterwards it was sooooooooooooooooooooooooooooooo (okay, so you get it), it was extremely good….no joke and to top off the night – It was kid approved! !, as my son and daughter loved it and they can be picky eaters. To make the pumpkin split, I cut up half a banana, some strawberries, threw in some walnuts, semi-sweet chocolate chips, whip cream and a cherry on top. Out of all the recipes, this one tops the list as my favorite, I will definitely be fixing this again – even after fall! As a matter of fact, I’m going to eat some more after boot camp today….it’ll be my guilty pleasure for putting my body through combat..lol. If you would like to make this recipe – you can find it at Renewing All Things (4 Ingredient Fast Pumpkin Ice-Cream). Well this is the last recipe for the month, I do hope that you enjoyed every post and hopefully it gave you new ideas as to what to do with a can of pumpkin. As you can see, it not only has many benefits to your body but even better ones for your taste buds! as well. This is the LAST CALL! Have You Entered The Giveaway?? That’s It! That’s all you have to do – Remember, you have to make one of the recipes, follow me on Instagram, post your picture of you and the recipe of choice and include the italicized statement with your post. Good Luck!! The Winner will be announced November 3, 2017 at 1:00pm on the Justsuminspiration blog, Facebook and Instagram pages. Winners will be selected randomly from the list of entries submitted. Let’s Live Well, Laugh Loud, Love Hard & Inspire Often! There’s a Pumpkin in my Oatmeal! Let’s Fall In Love, with Pumpkin Soup!! I’ll have Pumpkin Mac & Cheese Please!, How about You? Thanks Yoly! It really was..
Hi! I’m Roshonda – Welcome to JustsumInspiration!! I don’t know how you came across this site, whether you’re a follower or just stumbled upon it but I’m so glad you’re here!! There are a lot of websites out there and most of them are negative, here – I like to focus on the positive things and talk about how we as individuals can become better or even how to battle negativity! While we won’t be able to dismiss it from our lives forever, there are steps we can take to keep it at bay and it starts with us. I offer practical life and lifestyle tips that hopefully will help you think and live positively! So go ahead, check out the page and if you come across a post you like, leave me a thumbs up or a comment. You can find out more about me in the ABOUT JUSTSUMINSPIRATION section in the tab up top. Check Out the Trailer for My New Book! 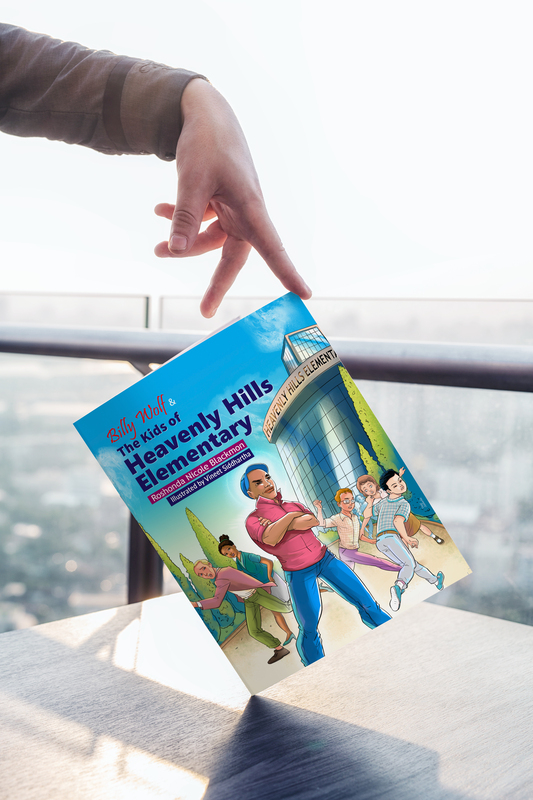 Order My New Children’s Book Here! Just Click on The Pic..
One Voice is All It Takes to Stop the Rest! I Ain't Got Nuttin But Love For Ya, Baby! EnSpired: Shanae Artis Exposes Fear & Crushes Adversity In New Book "This is NOT my Life - 10 Steps To Overcoming Fear and Adversity"
JustsumInspiration is on FB Click the FB link to see today’s post. 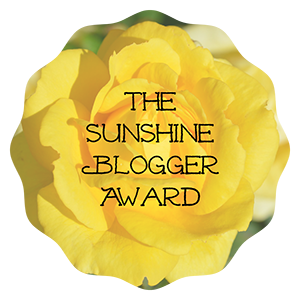 Awards I’ve Won From Other Bloggers in the Bloggersverse! Drop Us A Line - We'd love to Hear From You!